The latest stage in John F. Kennedy International Airport (JFK)'s renovation began on Tuesday as The Port Authority of New York and New Jersey started seeking proposals for a new master plan. 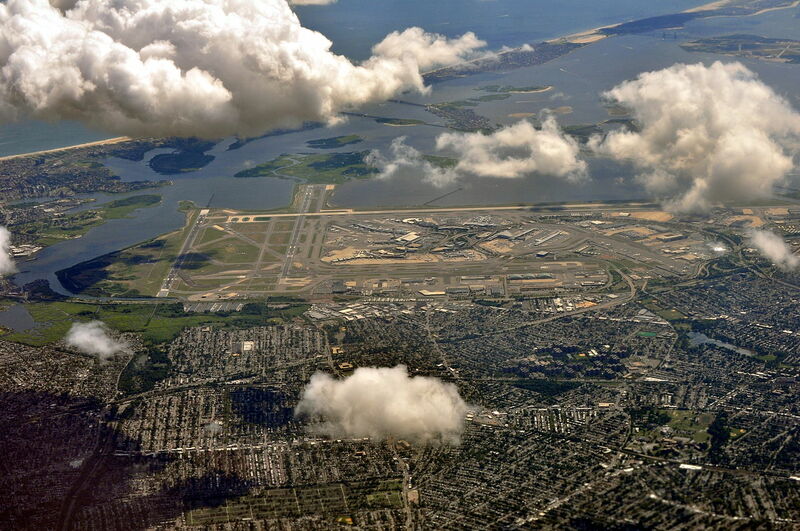 JFK is the busiest international airport in the U.S., serving 59 million passengers in 2016, and is expected to reach capacity in the next decade as it continues to grow. According to DW, the renovation addresses this rapid growth through connected and expanded terminals, improved road and parking access, a ring road to reduce congestion, increased AirTrain capacity, and new, updated amenities. 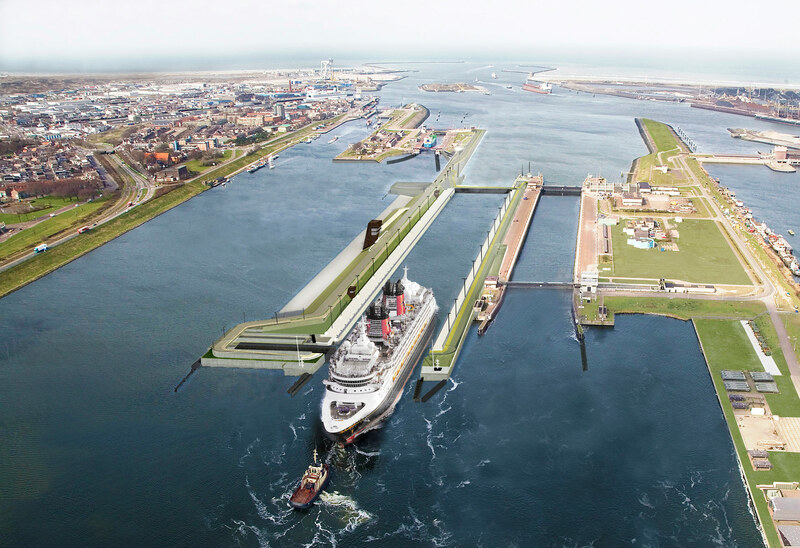 The project is expected to cost $10 billion, of which $7 billion will come from a private investment, according to Bloomberg. The Port Authority is only considering firms that have, within the last ten years, completed a master plan worth at least $5 million for a major airport serving a minimum of 15 million passengers. This would include firms such as KPF, HOK, and Gensler, which have all done large-scale airport projects. While this project has been moving ahead, not all the Governor's infrastructure projects have been progressing without criticism. Governor Cuomo recently caught some flack for funding road and bridge projects while ignoring much-needed subway improvements. Additionally, JFK has already been in the news this year as construction began on the adaptive reuse of Eero Saarinen’s iconic terminal. It is very clear that Governor Andrew Cuomo is fed up with the sorry condition of New York's infrastructure, particularly its airports. 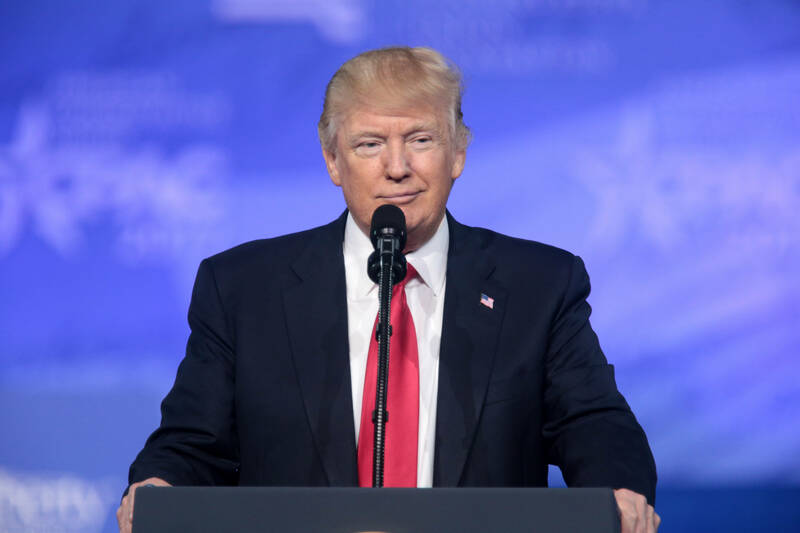 A barrage of recent projects suggests he is on a mission to restore infrastructure glory to the state. 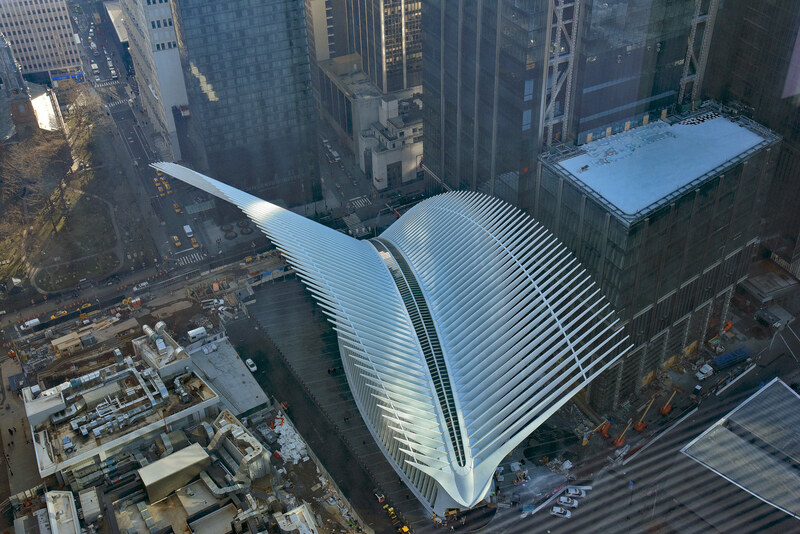 Over the past year, the governor has been spotted on top of the new Tappan Zee bridge, breathing fire down the neck of the MTA to finish the Second Avenue Subway on time, showcasing plans for a spiffy LaGuardia and a gussied-up Penn Station, and breaking ground on a new hotel attached to Saarinen's TWA terminal. To drive the need for better airports into the brains of constituents, there are not one, but three cartoon planes shooting off a logo for the state's new mantra: "Building today for a better tomorrow." 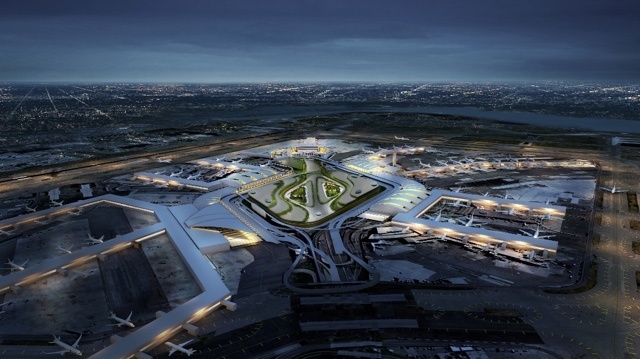 Today the state, the Port Authority of New York and New Jersey, and other agencies have revealed long-awaited $10 billion vision plan for a new-and-improved JFK International Airport. The many proposed changes, driven by $7 billion in private investment, have three common goals: Modernizing the terminals, improving road access to the airport, and expanding mass transit options to accommodate a projected increase in passengers. In a statement that channeled Rocky, Cuomo declared that “New York never backs down from a challenge, rather we step up to take on the ambitious projects that are often thought to be impossible. 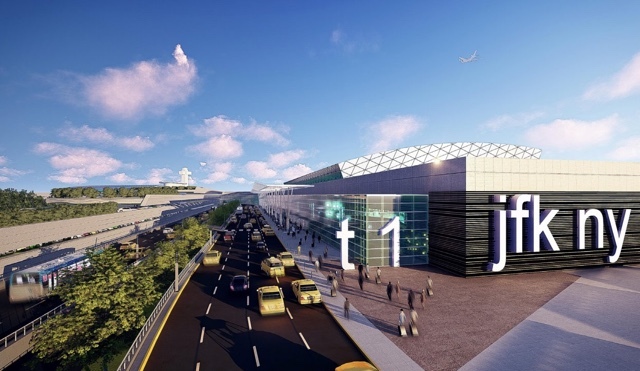 That’s exactly what transforming JFK International Airport is all about. Our vision plan calls for the creation of a unified, interconnected airport that changes the passenger experience and makes the airport much easier to access and navigate. We are New York, and we remember the bravado that built this State in the first place, and that is the attitude that will take JFK and turn it into the 21st-century airport that we deserve. I want to thank the panel, especially Chairman Dan Tishman, as well as all of our many partners who join us in this effort.” Tishman is the CEO of Tishman Construction Company and chair of the Governor’s airport master plan advisory panel. The video above features some project highlights, as well as renders for what we could see at the airport in the coming years. Right now, JFK may be ugly and dysfunctional, but it's busy: Last year the airport welcomed over 60 million passengers, and that number is expected to grow to 100 million by 2050. Plans call for the unification of terminals to provide passengers with a more coherent visitor experience; redesigned the ring roads to allow better car access; expanded parking lots and taxi access; added train service; more amenities like the Beyer Blinder Belle–designed hotel addition to the TWA Terminal; and of course, added privacy-slashing security features like facial recognition and video tracking software to ensure that no terrorists destroy the new airport and to prevent hapless travellers from endangering us all with carry-on batarangs and loaded guns. One of the biggest frustrations of traveling to JFK by car are the bottlenecks along the Kew Gardens Interchange between the Grand Central Parkway, the Van Wyck Expressway, the Jackie Robinson Parkway and Union Turnpike. Plans call for expanded lane capacity between the Grand Central and the Van Wyck, among other changes. In conjunction with today's announcement, the state unveiled a competition to design welcoming public art that will grace twenty new auto crossings over the Van Wyck. 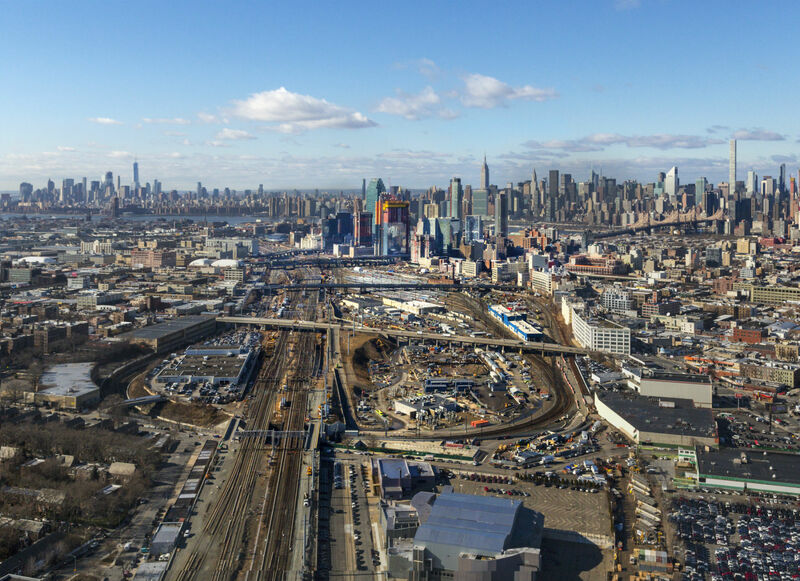 In all, New York will spend $1.5–$2 billion to improve roadway access to the airport, and is considering plans to increase mass transit capacity on the subway, LIRR, and AirTrain. Notably, the state is exploring the feasibility of a "one-seat" ride to JFK, which would mean no more getting off the A train to board the AirTrain only to find your MetroCard doesn't have enough cash so you have to wait behind 20 clueless tourists on line at the machine when your flight leaves in 30 minutes—amirite? This is the ninth in a series of guests posts that feature Archtober Building of the Day tours! Schermerhorn Row is a complex of buildings that many of us have walked by or perhaps been inside on a shopping expedition to the South Street Seaport. One may recognize the silhouette of the building and sailing ship in the South Street Seaport Museum’s iconic logo, designed by Chermayeff and Geismar. According to William Roka, historian for the Seaport Museum, the buildings built between 1810 to 1812 comprised of a row of speculative counting houses built by Peter Schermerhorn, a descendant of an important Dutch family instrumental in founding New Amsterdam. Roka provided an interesting and thorough historical context to what he describes as one of New York’s most important building. 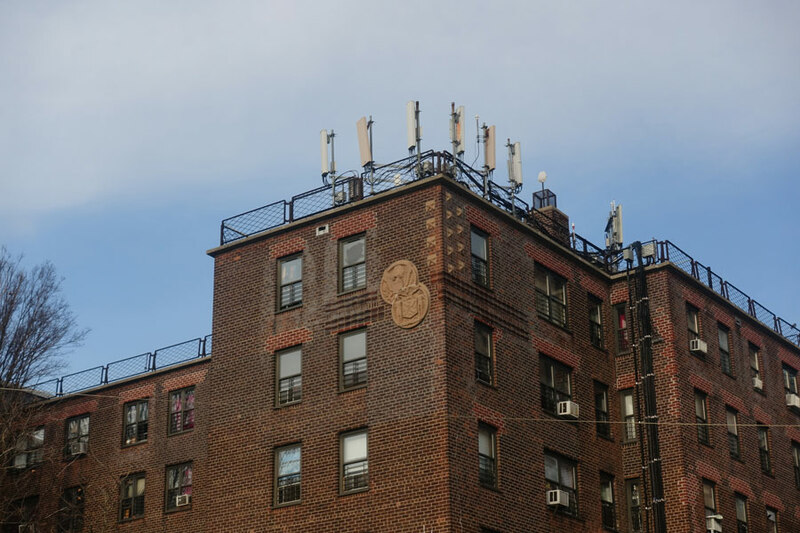 How is it that this significant landmark, hidden in plain sight, is not more familiar to New Yorkers and their guests alike? Schermerhorn Row has been described as New York’s first world trade center. Peter Schermerhorn was at the right place at the right time to develop a water lot by extending landfill into the East River. He built a warehouse of sorts adjacent to the burgeoning maritime trade just prior to the establishment of a market and ferry named after Robert Fulton. Considered a large building in its day, it served merchants who would handle cargo and account for the taxes and tariffs ascribed to goods moving in and out of the port. The merchant class of New York City nurtured their wealth here and moved to places like Washington Square to live a peaceful life at the edge of a bustling port town. 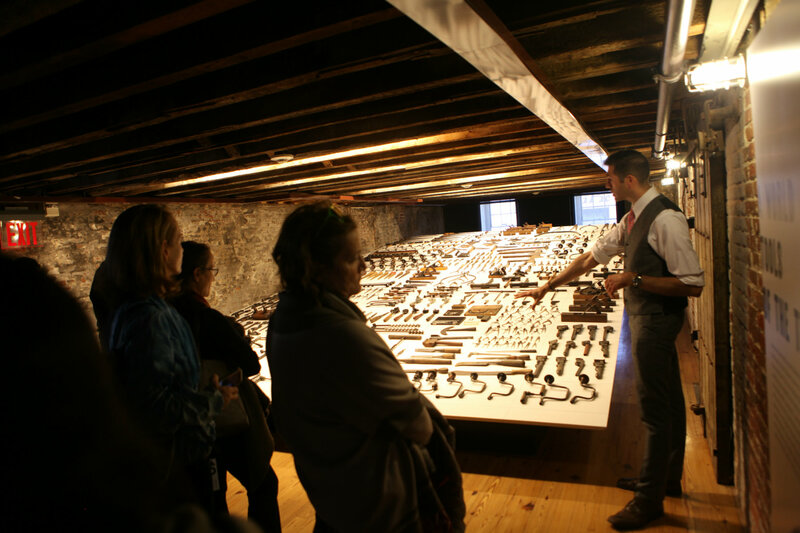 The tour brought us to the upper floors of one of the counting houses where a display of hundred of tools spoke immediately to the human hand in every aspect of labor—on ships and in buildings like Schermerhorn Row. Brute force and rudimentary use of mechanical advantage lessened the burden of lifting, pulling, hauling. In an adjoining counting house, an array of architectural artifacts and archaeological remains suggest a story of simple materials use practically, underscoring the hand-crafted (early nails and bricks were made by hand and used in the building of Schermerhorn Row) nature of architecture in the early days of the nineteenth century. There are few examples of this mercantile typology and hand-wrought technology left in New York City. The highlight of the tour was learning about New York’s early venture into adaptive reuse: Walking the halls of a counting house-turned-hotel where one witnesses airless and lightless rooms that seem cruel and unusual to our modern standards of space and cleanliness. Roca walked us through the rise and fall of the port and Schermerhorn Row. 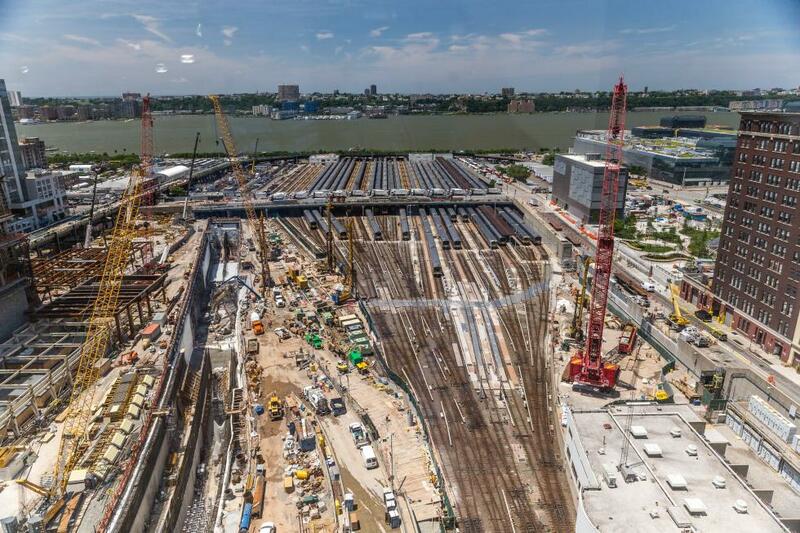 Thankfully, the New Jersey portion of the Port Authority of New York and New Jersey nixed the idea of developing the new World Trade Center on a gigantic parcel of land from Wall Street to the Brooklyn Bridge. Grassroots movements and the newly established Landmarks Preservation Commission helped declare 12 blocks surrounding Schermerhorn Row as the South Street Seaport Historic District in 1977. Stay tuned for upcoming tours of Schermerhorn Row as the Seaport Museum brings more of its collection into public view. 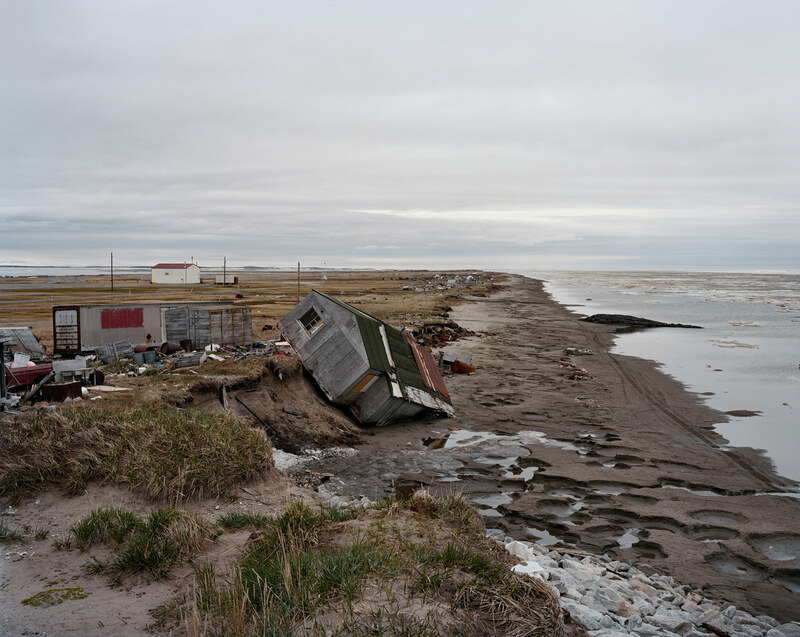 About the author: Tim Hayduk is the Lead Design Educator at the Center for Architecture. He began teaching about the built environment at South Street Seaport nearly 15 years ago. Tim has a strong affection for the Seaport District and the history that is told through its bricks, mortar, streetscapes, vessels, and people.